Abbotts are the region's most exciting estate agents with over 30 branches across East Anglia extensively covering Essex. Whether you are buying or selling, we at Abbotts are the people to make your move become a reality and to make your property stand out from the crowd Epping itself is a vibrant market town with a bustling High Street containing a good mix of shops, restaurants and coffee bars. 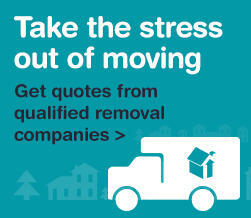 At Douglas Allen we want your move to be as easy, straightforward, and stress-free as possible. We also strive to get you more buyers – and this is why your property details will be passed between 100+ branches across Kent, Sussex, Hampshire, Surrey, London, Essex and even the Isle of Wight! We also know the value of presentation – that’s why we use professional photographers to capture your home at its best every time. Nicholsons Estate Agents have been serving the local community since 1982. Offering a comprehensive and personalised service backed with extensive local knowledge and experience. For all your property needs, whether it be Sales or Lettings, please contact our office to experience the difference that is Nicholsons. For a personal and first class service come to Stevenette & Company . With a successful history of meeting client needs and expectations, Stevenette & Company are an excellent choice for your property requirements. This applies to whether you are selling, letting, buying or renting and is proven by the experience of many many people who have dealt with us.